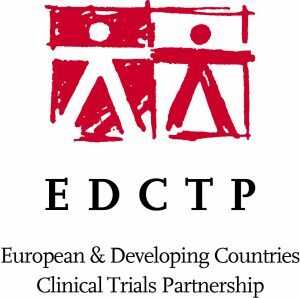 The European & Developing Countries Clinical Trials Partnership (EDCTP) is a public-public partnership between countries in Europe and sub-Saharan Africa, and the European Union. EDCTP funds research for prevention and treatment of HIV/AIDS, Tuberculosis, Malaria and Neglected Infectious Diseases in Sub-Saharan Africa. EDCTP aims to accelerate the development of new or improved drugs, vaccines, microbicides and diagnostics against HIV/AIDS, Tuberculosis and Malaria as well as other poverty-related infectious diseases in Sub-Saharan Africa, with a focus on phase II and III clinical trials. The goal of the Federal Ministry of Health is to build a healthy nation, thereby contributing to social and economic development, thus achieving the Millennium Development goals. The Ministry aims to provide equitable, acceptable and appropriate health services. The Ministry strives to ensure just distribution of health services via development of policies, standards and legislations to achieve equity and reduce poverty, build the capacity of the decentralized health system, building partnerships with local, regional and international stakeholders as well as investing in research conduction and dissemination and adopting a research culture within the Ministry.